Act 24, which lowered Pennsylvania's legal DUI limit of alcohol from .10 to .08, was signed into law on September 30, 2003. The new Pennsylvania Driving Under the Influence (DUI) Law creates a tiered approach toward DUI enforcement and treatment, and includes many changes to the penalties, terms of suspension, fines and other requirements. The combination of an individual's Blood Alcohol Content (BAC) level, and prior offenses, determines the licensing requirements and penalties. The new law focuses on treatment for first-time DUI offenders, rather than strictly punishment and suspension. The new law creates a higher set of penalties for those having higher BAC levels. It allows for treatment at all levels, and requires alcohol highway safety school for all first and second time offenders. For those at the highest BAC levels, the new law has strict penalties, but also allows for treatment. This even-handed approach allows for individuals to receive counseling for their alcohol problem, while still penalizing those who choose to continue the dangerous practice of drinking and driving. In addition, drivers under the influence of controlled substances and those who refuse breath or chemical testing are subject to the highest BAC category penalties. The following outlines specific components of the new law, and changes from the previous law that impacts DUI drivers. The Blood Alcohol Content (BAC) level for per se* DUI is lowered to .08%. Penalties for DUI will be based on BAC and prior offenses. BAC below .10% and incapable of safe driving: No suspension for first offense if the driver meets certain criteria; 12 month license suspension for second or subsequent offense. BAC greater than or equal to .10% and less than .16%: 12 month license suspension for first and second offense. 18 month suspension for third or subsequent offense. BAC greater than or equal to .16%: 12 month license suspension for first offense. 18 month suspension for second or subsequent offense. 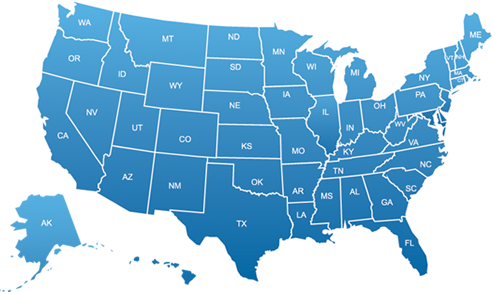 Out-of-state DUI convictions: No suspension for first offense; 12 month license suspension for second or subsequent offense. Treatment and evaluation processes are geared to rehabilitation. Drivers who receive a second or subsequent DUI violation on or after September 30, 2003, can no longer serve an additional one year suspension in lieu of obtaining an ignition interlock device. Drivers are required to install ignition interlock on all vehicles owned (including leased) before driving privileges can be restored. Financial Hardship Exemption:Drivers may apply for an exemption from the requirement to install the ignition interlock device on all of their vehicles. If the exemption is granted, ignition interlock installation will only be required on one vehicle. Employment Exemption:Under certain circumstances, ignition interlock restricted drivers may operate employer owned vehicles but only in the course and scope of employment. The employee must notify the employer of the ignition interlock restriction and carry proof of employer notification on a PennDOT form. The employer owned vehicle cannot be a school bus/vehicle or large passenger vehicle. Ignition Interlock Violations:Individuals convicted of driving without or tampering with the ignition interlock device will have their ignition interlock period extended 12 month from the date of conviction for the first offense and will have their driving privileges suspended for 12 months for the second or subsequent offenses. Upon restoration they must comply with ignition interlock for 12 months. Individuals, whose driving privileges are suspended during the ignition interlock period for a non-ignition interlock violation, must complete the ignition interlock period upon restoration. 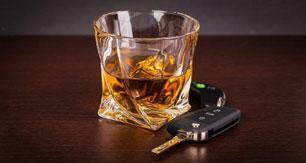 First time DUI offenders may be eligible for an OLL after serving 60 days of their suspension. Individuals whose licenses are suspended for 18 months (for DUI or refusing breath or chemical testing) and have no more than one prior offense may be eligible for an OLL with an ignition interlock after serving 12 months of their suspension. In addition, first time underage drinking violators may be eligible for an OLL. PennDOT will automatically expunge ARD records after 10 years providing a person's operating privileges were not revoked as a habitual offender and/or the person was not a commercial driver at the time of the violation. Individuals suspended for driving a vehicle not equipped with an ignition interlock device or driving under a DUI-related suspension, with a BAC of .02% or greater cannot receive credit for their suspension until jail time has been served. Suspensions for individuals who refuse to submit to breath or chemical testing may be increased. Breath or chemical testing may now be required for individuals who are arrested for driving under a DUI-related suspension or driving without an ignition interlock device. * "Per se" is a Latin phrase that means "by itself." Evidence that a person drove, operated or was in control of a motor vehicle with a BAC of .08% or higher is enough by itself to convict the person of DUI. A person with BAC less than .08% might still be convicted of DUI is there is evidence that he or she imbibed enough alcohol to make him or her incapable of safely driving, operating or being in control of a motor vehicle.